No resistance movement is popular in the State against which it is initiated. The Baloch resistance to Pakistan is not any different. But do they have the right to resist the tyranny of the State and struggle for freedom? And does that also extend that right to the Taliban? It is illegal, but arguably, yes. This pertains to their fundamental rights, which should be covered by the Constitution, even if they are not currently. The resistance movement would prove very sound from a Libertarian viewpoint as well, but from the standpoint of the defending State, it would be rightful to enforce law and order and curb it. So in terms of warfare, it is a violence for violence battle. But what is the limit? While there is little doubt about the Baloch right for the secession, what should the State do to win the hearts and minds of the Baloch people? Should the State continue to rule a people like a colony, as an alien ruling class, or should it start allotting more aid to the province? Should the State take measures to free the local people from the tyranny of local Baloch nobles and feudals or would that be the tyrannical intervention of the Federation on one of its independent units or States? How should a civil war be treated? Is it justified to use violence, or any means possible, to preserve the Union? There are arguments on both sides, but the dissidents are arguing beyond Pakistani nationalistic fervor here. Their opinion may not necessarily be liberal, but would reach out to the violated individual liberty of the freedom fighter. 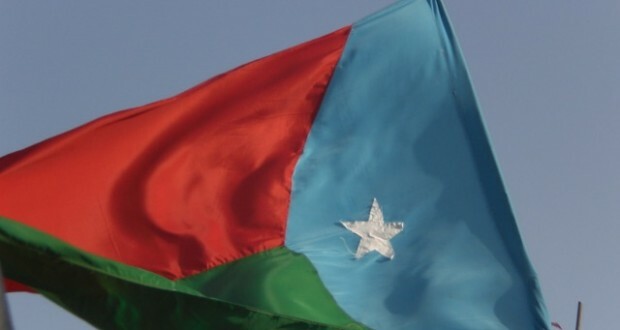 The Libertarian case for the Baloch resistance would be the recognition of their right to bear arms and engage in an armed struggle against an oppressor. It would be the recognition of their right to life and liberty and protection from any unwarranted searches, detention and unlawful killing. It would be the recognition of their right to free speech for expressing dissenting views against the State and rejecting the Constitution. This is where the Pakistani state law enforcement and military agencies are making a big mistake. Pakistani agencies are allegedly detaining Baloch citizens on the suspicion to be a part of the treasonous resistance, which is both illegal and unconstitutional. An extrajudicial killing after torture would be even worse. Now there would be a lot of Pakistani nationalist friends who would defend this act, which is supporting the idea of curbing the resistance by all means necessary. But if this sort of behavior were to be given legal approval, then the State could detain any citizen for any given cause, without warrant. If it does not alarm a citizen, then they need to be more aware of the excesses of the government that could threaten their liberty. I am not saying that the State has no right to curb an uprising by force and to enforce law and order. What it cannot do is to alienate its own people. So while it is curbing an uprising, it is up to the State how it treats its own people. But above all, it is the responsibility of the State to not violate the liberty of an individual based on suspicion, instead of a legal warrant based on reasonable doubt. This is not how a democratic republic should curb an uprising. Of course, a military dictator or monarch could use any means at their disposal, but surely that would be the wrong way of doing things. In another words, not the democratic way. Now arguably all the rights for the Baloch resistance also apply to the Taliban. Which is true, like it or not. So let it be the Baloch cause or the Taliban, the liberty of the individual citizen must not be violated. Surely, it would be outrageous for some for me to mention both of the different resistance movements together, considering the different morality of their ideologies. But then again, morality of ideologies is relative. Of course, all that makes Baloch cause any better to that of Taliban is that the latter is fighting to enforce the authoritarian Islamism on an unwilling population. While others could have the same distaste for the Baloch resistance if it were Socialistic or Anarchic in nature. While you could talk about just about any resistance movement regardless of the ideology or cause, there is a reason to present the case of the Baloch resistance. At least in the context of Pakistan. At least when we have inspirational people like Mama Qadeer marching all the way from Quetta to Islamabad to make this point. The Baluch people have allegedly seen brutal assaults from the State elements and have had their liberty violated. This is the perfect way to make enemies of already dissenting and defecting citizens. Disclaimer: The post does not reflect my support of or opposition to any of the resistance movements anywhere.